We originally posted this in July of last year...and we think since we have a much larger and wider audience now, it deserves repeating: We're loving Etsy. So many creative people making great, and thoughtful handmade and bespoke items it's hard to know where to start. 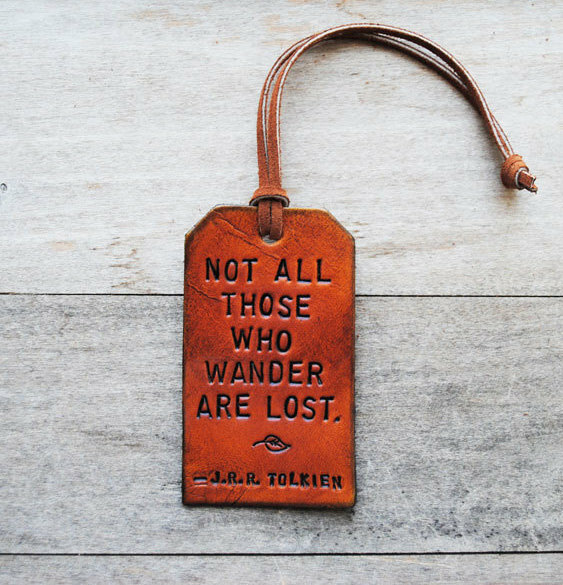 Continuing with our apparent love of the leather craft available on Etsy, we found these lovely leather luggage tags, which of course are available for custom orders. So bust out that quote book and get ordering. However, if you're the practical type, you could always just put you name and contact info. They are available here.